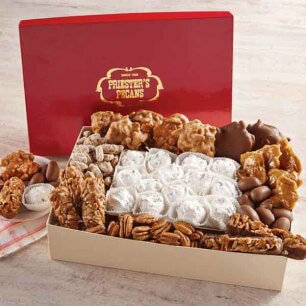 The recipient of this gift will know that you are sending nothing but "Best Wishes" when they receive this gift tower. 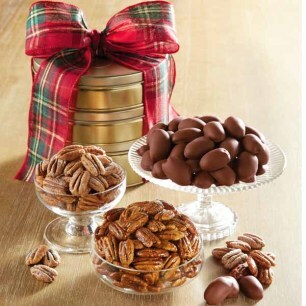 The Best Wishes namesake tin contains Roasted & Salted Pecan Halves, Honey Glazed Pecans, Old-Fashioned Cane Pecans, Praline Pecans, and Milk Chocolate Pecan Halves. 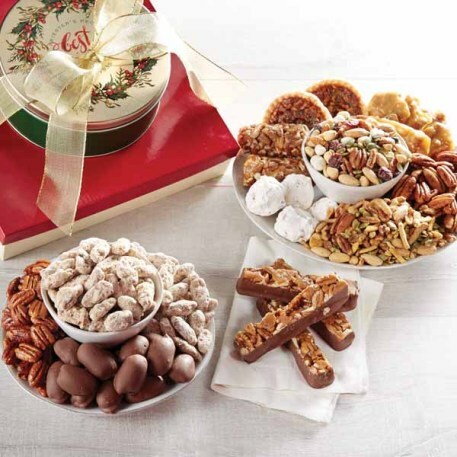 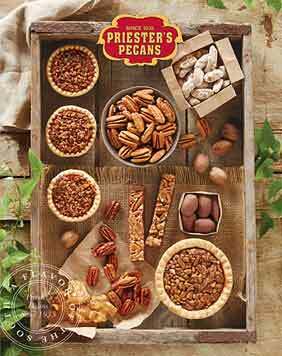 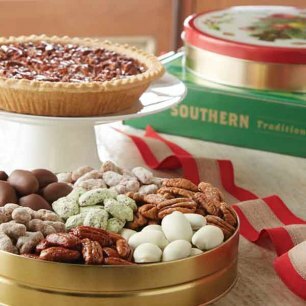 There is just as much variety inside our signature gift box: Pecan Fiddlesticks, an Old-Fashioned Mini Pecan Pie, a Pecan Log, Pecan Divinity, Peanut Brittle, Back Country Snack Mix, Health Nut Snack Mix, and Roasted & Salted Cajun Pecan Halves.